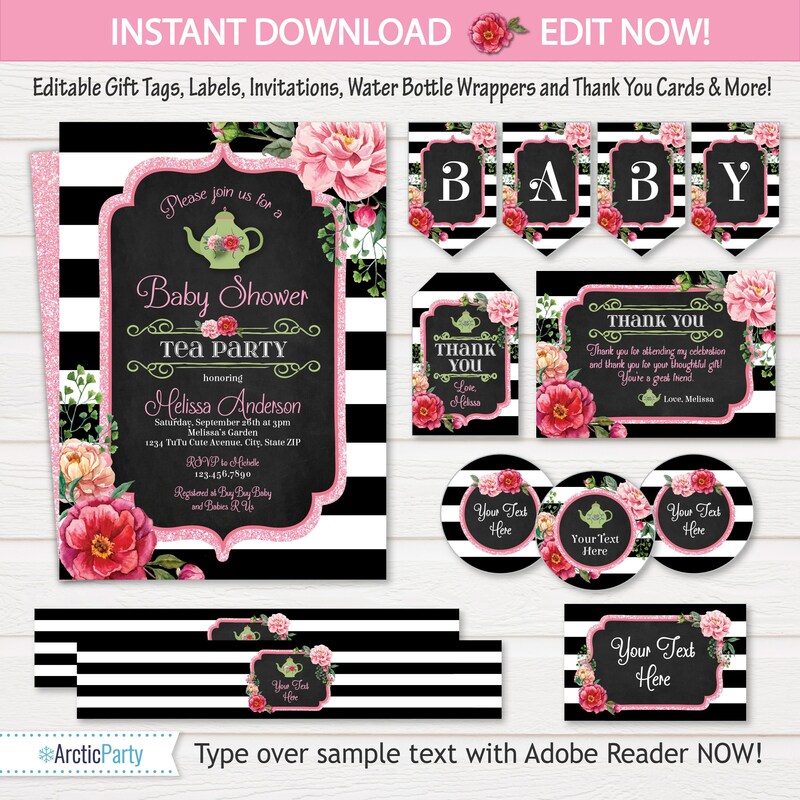 Tea Party Baby Shower Invitations - Tea Party Banner - Tea Party Baby Shower - Tea Party Labels - INSTANT Download - Edit NOW with Adobe! 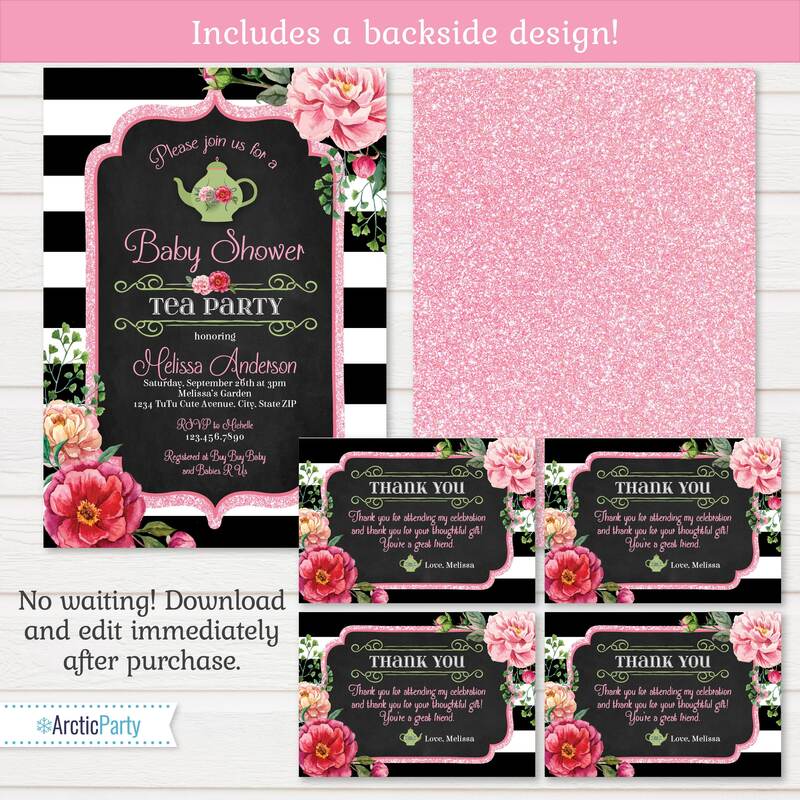 Tea Party Baby Shower Invitations Template plus party pack! EDIT at home Now and save $$!! 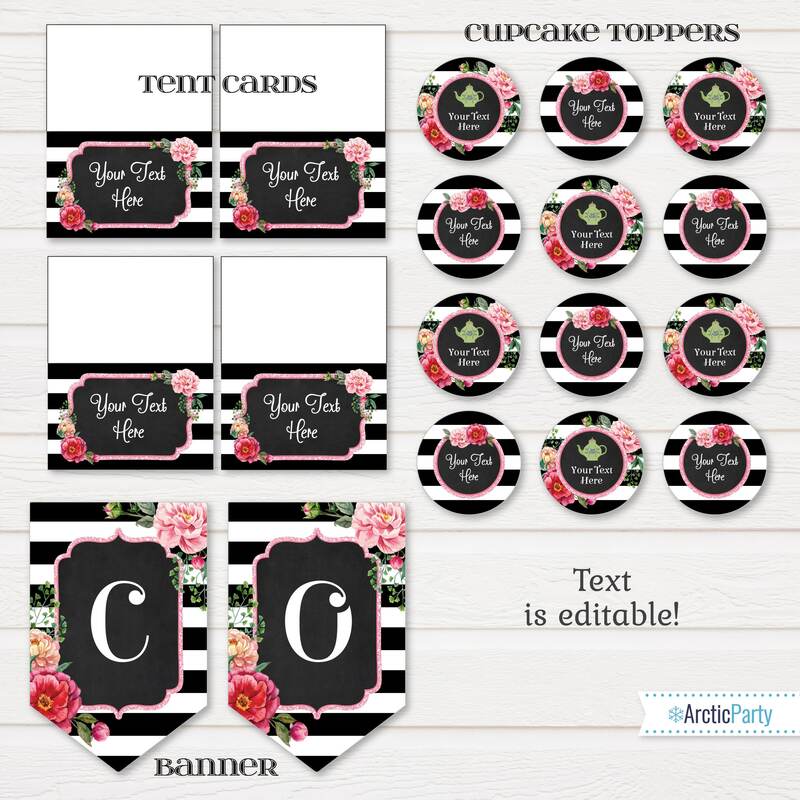 - EDITABLE INVITATIONS - Includes backside design! 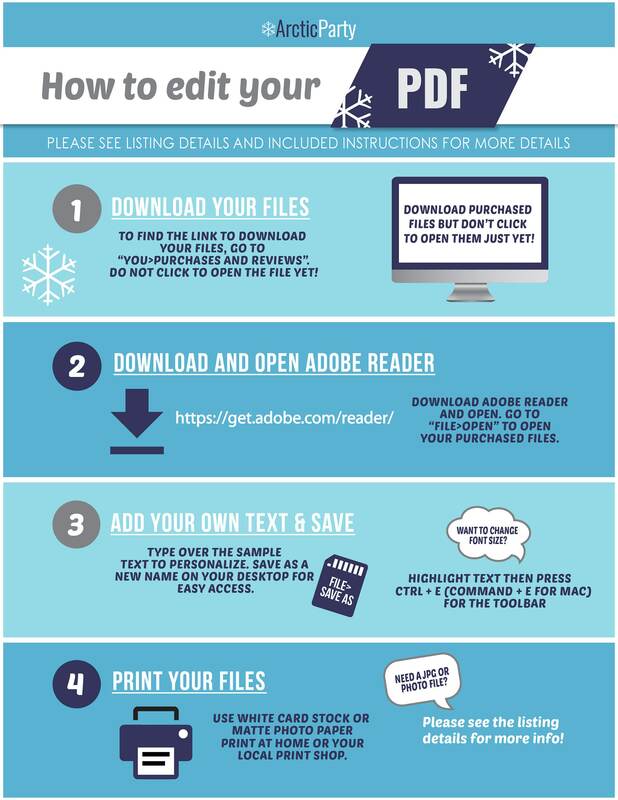 FILE FORMAT: Editable PDF file (includes single file with option to change to JPG). You will need the latest version of Adobe Reader. 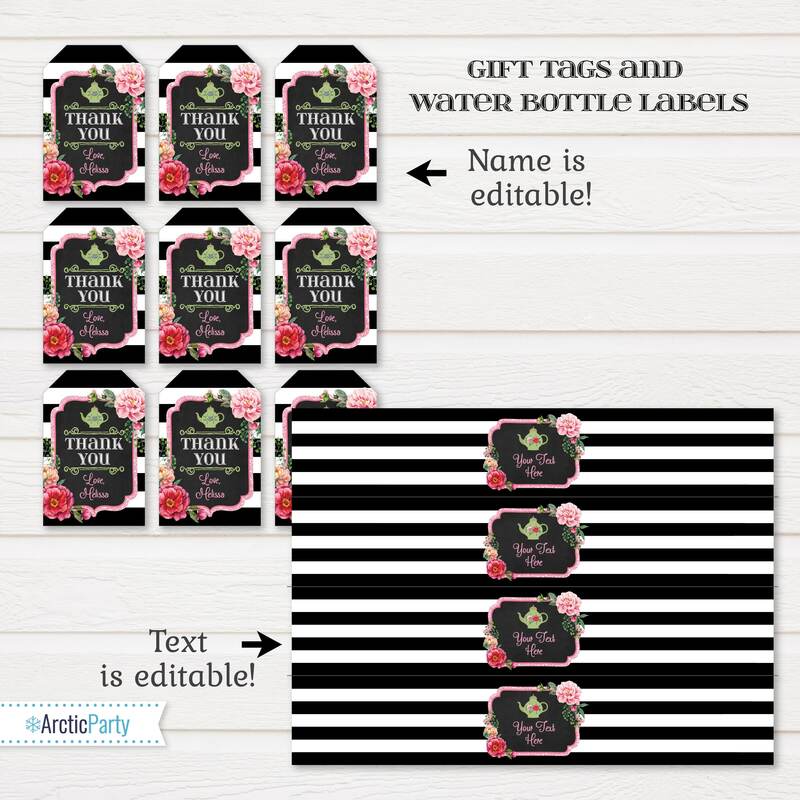 ♥ "Please join us for a" & "TEA PARTY" are NOT editable (contains altered text). All other text IS editable.